Note: I tried to find the same or similar products from Amazon for those of you who do not have an IKEA near you! 1. 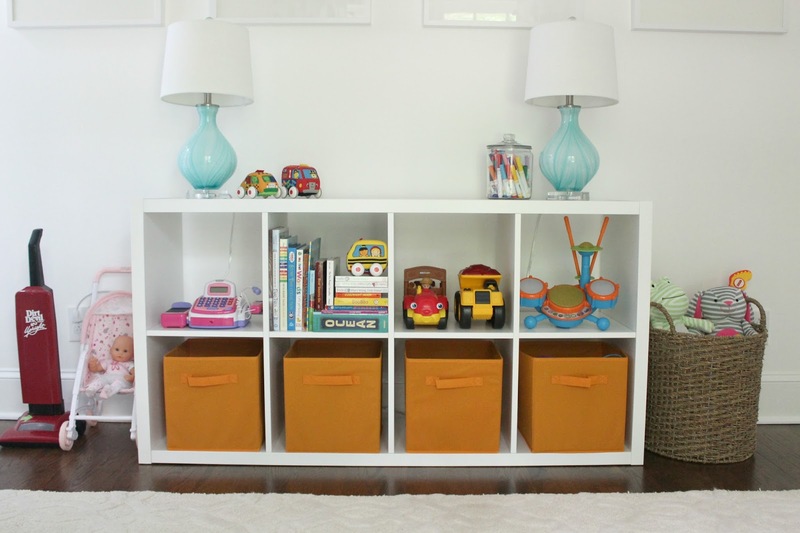 Kallax Shelving System // similar from Amazon: Despite rivaling the dresser for the worst assembly process ever, this shelving system is SO perfect for toy storage, books and more. 2. 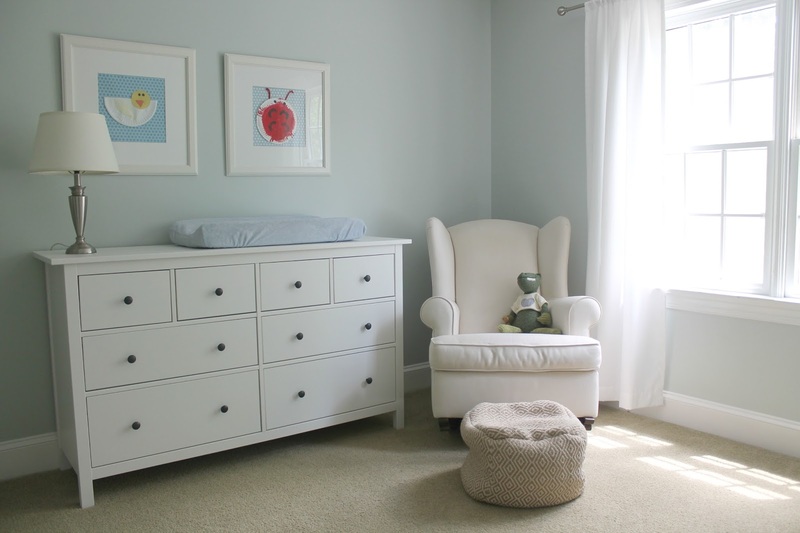 Hemnes 8 drawer dresser // similar from Amazon): We love this dresser so much that we purchased it for both kids rooms. The dresser is high quality at an affordable price! We dressed Caroline’s up a bit with an easy DIY project (see here). 3. Glass Food Containers: I try to scoop up a few of these every time I shop at IKEA and am slowly trying to replace all of our plastic tupperware. These containers are amazing. 4. Plants + Pots // similar from Amazon: They have the very best plant and pots selections at an affordable price. 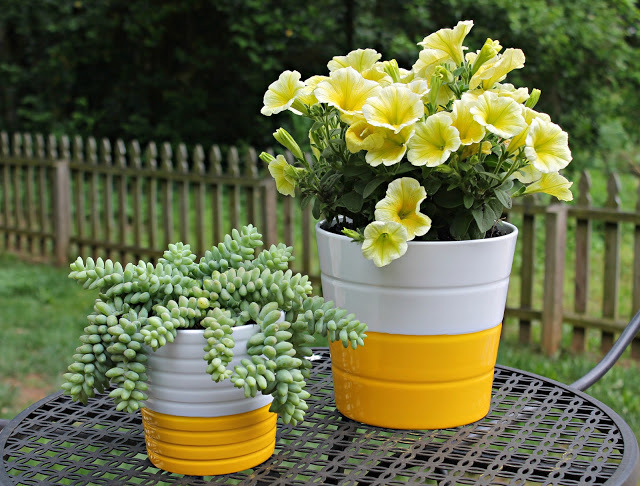 You can find my easy DIY IKEA plant pot makeover here. 5. 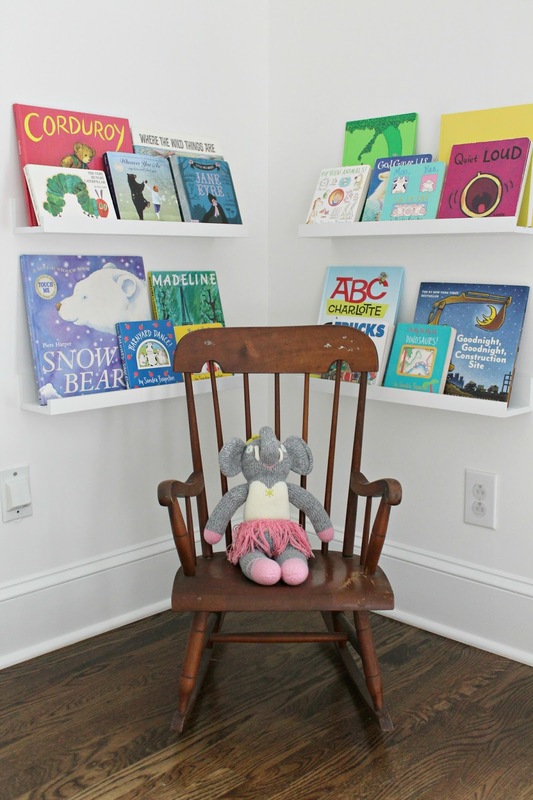 Book Shelves: The floating book ledges // from Amazon are perfect for housing all of the kids books! We have IKEA shelves in our play room and converted spice racks into book shelves for Caroline’s former room and Thomas’s room. 6. 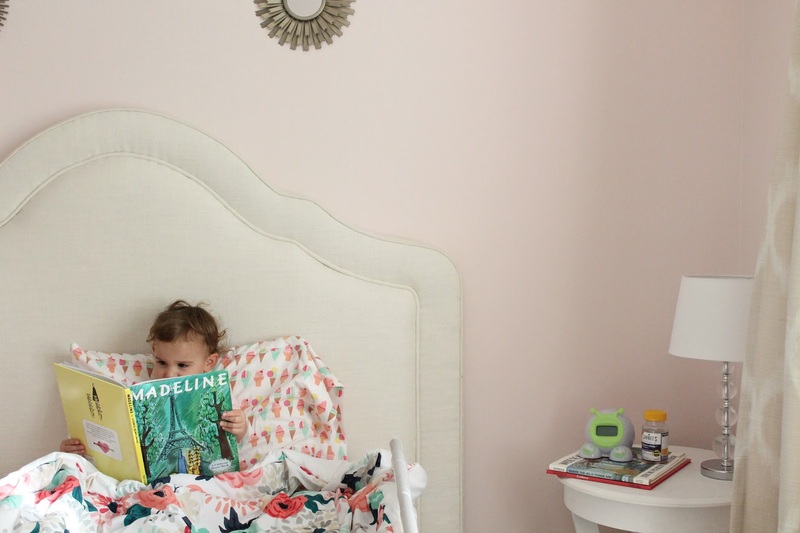 Frames // from Amazon: We love the Ribba frames and use them all over the house! 7. 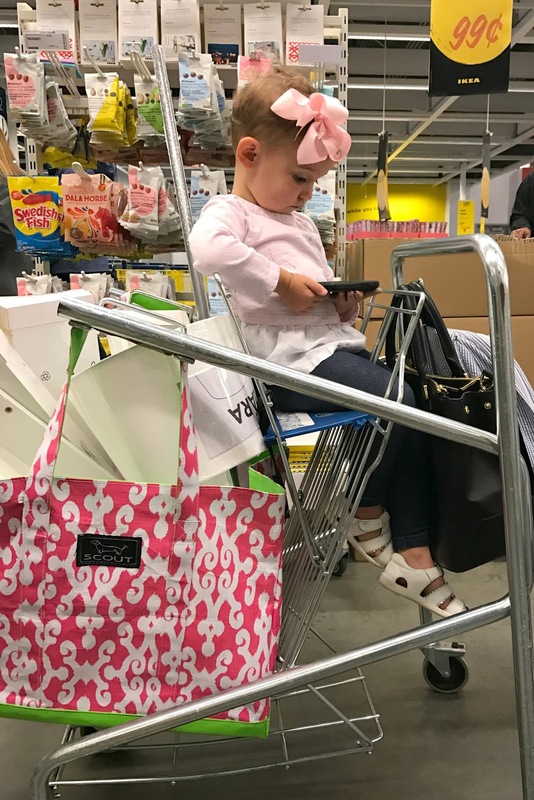 Mattress + Box Spring: When it was time to transition Caroline to a big girl bed we compared prices and quality at IKEA and were seriously impressed with the quality of their mattresses. Caroline’s bed is super comfy. 8. High Chair // from Amazon: We ditched the $200 high chair for the $20 high chair from IKEA and never looked back. 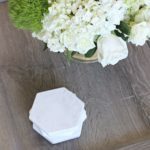 It’s easy to clean, inexpensive and looks sleek! 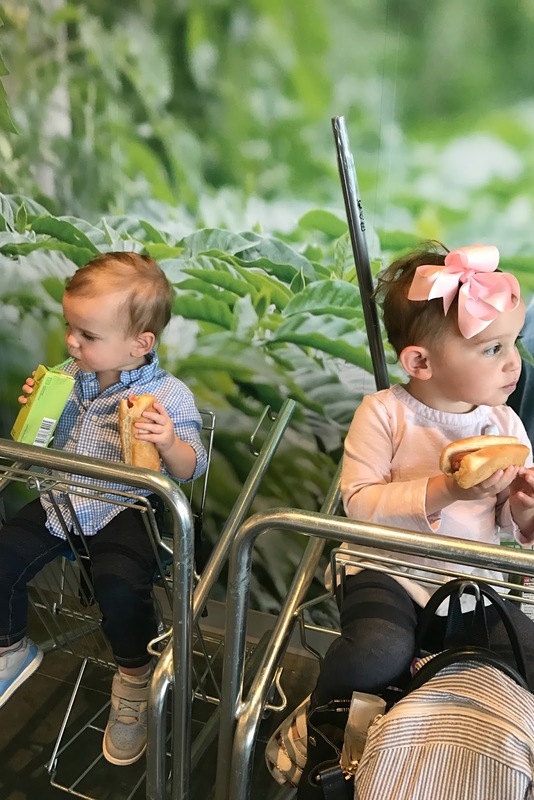 We have loved these high chairs! 9. Step Stools // from Amazon: These are so popular that they were sold out forever at our IKEA. I ended up purchasing both of them for double the price on Amazon because we needed them so badly. And they are worth every single penny. These stools are perfect for the kids. 10. Bath Rugs: We LOVE these and have them in white for our master bath and green for the kids bathroom. They are SO soft and inexpensive. 11. 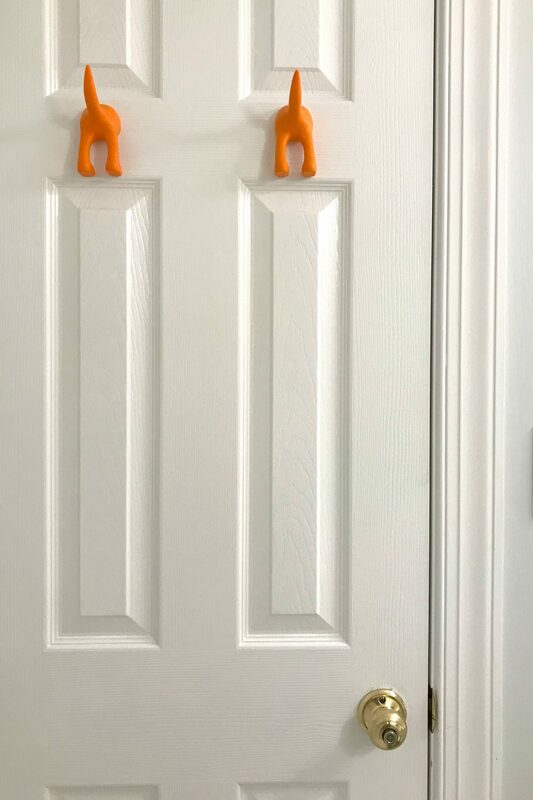 Puppy Tail Door Hooks // from Amazon: The cutest little puppy tail hooks for the back of the bathroom door for towels. 12. Plastic Cups & Bowls: Our favorite cups and bowls for the kids. We have a million. 13. Play Table // from Amazon: We have gotten SO much use out of this table. 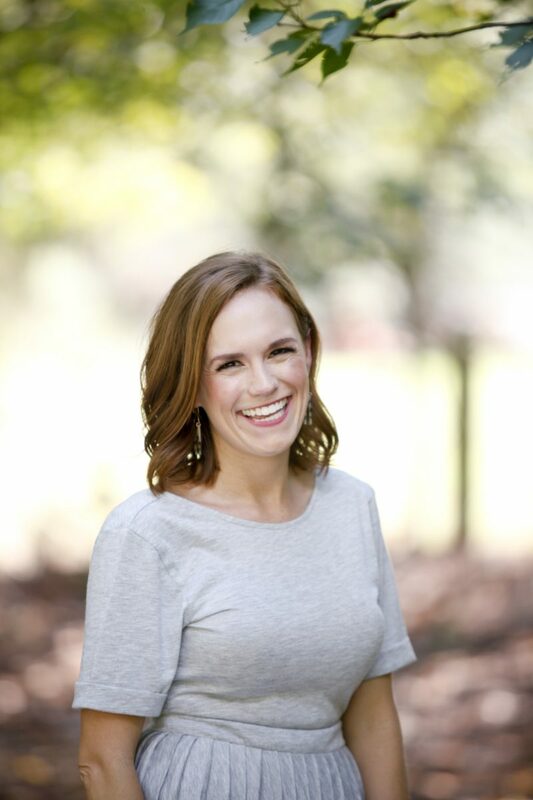 See my friend McKinsey’s DIY makeover here! 14. Cutting Boards, Kitchen Utensils & Dish Towels: Other kitchen utensils I love include measuring cups, spatulas, colanders and more. 15. Last but not least, you can’t leave IKEA without hotdogs, ice cream and cinnamon buns! Now tell me your favorite items from IKEA! Next Post Five on Friday & Survey Thank You! I was wondering about the quality and comfort of their beds and mattresses. We need to find something for my almost 3 year old to transition him out of his crib and I was thinking a bed from IKEA might be the way to go. Highly recommend! I love laying in Caroline’s bed!! We don’t have an IKEA close by but have several of your faves via online orders including the kids’ play table (ours looked so gross that I was forced to paint it when we moved into new house last fall!) and one of those easy breezy high chairs that I highly recommend to all expecting parents! Oh yea, forgot to include our two slip covered love seats. So comfy, and what a steal! Agreed. Those hi-chairs are the BEST! And our play table is probably ready for a coat of paint. HA. The Ribba frames are my favorite! Though, every time I have them shipped they arrive with loads of broken glass 🙁 I have to wait for trips to Denver to buy in bulk! And check TJ Maxx for glass storage containers! The prices are comparable to Ikea’s. I ditched all of our tupperware last year for glass and I am SO GLAD we did. I didn’t even think about TJ Maxx for glass containers! Will definitely look there! Check Costco or Sams Club. I’ve gotten Pyrex sets of glass containers for a very reasonable price at Costco. 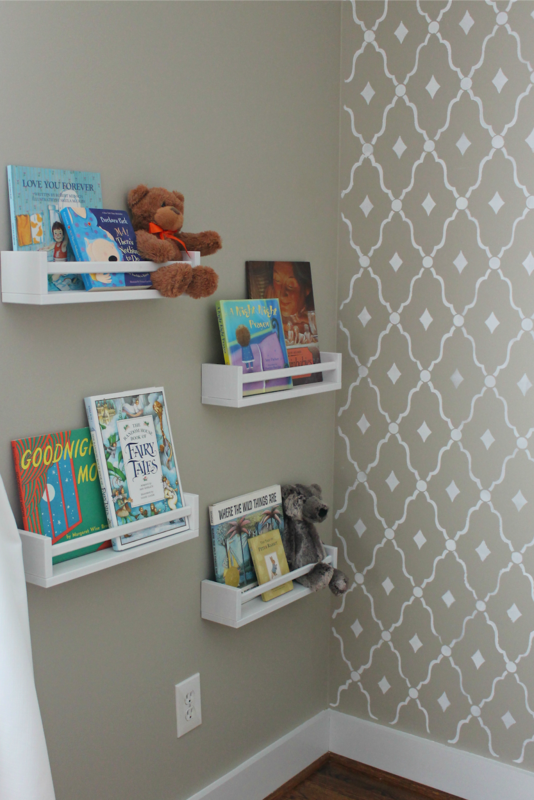 I just recently bought the Kallax, Hemnes and the book racks for our nursery – I love them all so much! This is completely random, but I’d love to see a post about your Family Albums (I searched but didn’t see one). I’m starting our 2018 one now and trying to keep up with it throughout the year. Which company do you use to print? We have the Hemnes dresser too and it’s held up amazingly well over 4.5 years and two children. I love the way you monogrammed those highchairs! i agree! such good quality! 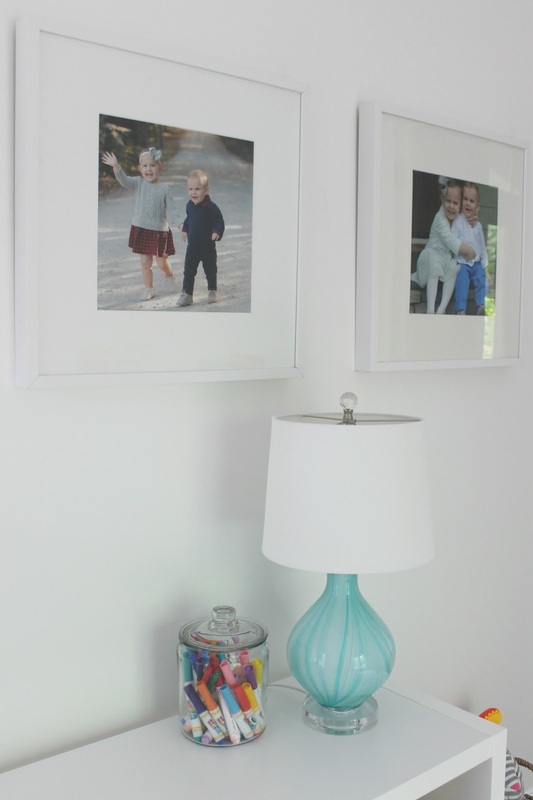 Use their curtain wire to hang kids artwork! Such an easy way to rotate art in and out. that is BRILLIANT! love it!!! I use their curtain wire to hang the Chatbook pics that come with my Instagram chatbooks! Their watercolor paints and craft paper packs are awesome. I stock up on both every time I go. My go to gift for my girls’ friends bdays is water colors and a Peter Reynolds book like The Dot, Ish and Sky Color. Total tangent but a great gift! Thanks! I’ve never heard of these books but just ran to amazon and copied this idea for a little girls bday this weekend. I love a go-to gift and this is a truly great idea/combo. LOVE Peter Reynolds!!!!!! One of my ultimate favorites!!!!! OK, you win best gift! I love that idea and am totally going to borrow it! I love Ikea! All of these picks sound great, and I will have to check out those kids’ stepstools. We also love the Ikea toy section. The play food is so cute! The quality of the stools is awesome! Highly recommend. My favorite are their mini fake plants. I’m horrible at growing plants so I have those all over our house. I also love their frames too. We have s variety they we put on our gallery walls. Their gold ones are some of my favorites. HA! We have SOOOO many Ikea fake plants in our home too. I forgot about those!! They are the best! We are big ikea fans as well. We have 2 ikea slipcovered sofas that have held up great with our kids. Our huge living room rug is from ikea and despite being black and white it still looks clean 4 years later. We have about 30 sets of the kids plates, cups, and silverware. We have a gallery wall of Ribba frames and a library full of Hemnes books shelves. I recently purchased my daughter a hemnes dresser and side tables for her room. I also have the wooden step stool in my closet and a few of the plastic ones around the house for the kids. Sadly (maybe a good thing) we’re 2 hours away! 30 sets of kids plates – LOOOOOL. That is totally us. I feel compelled to grab another pack EVERY time we go even though we definitely don’t need any more! This isn’t IKEA related although I love that place and wish we had one nearby but can you tell us about your family albums it looks like you created on the shelf? I want to do that but worry it’ll have a million pages a cost a fortune. Where did you go through for yours? We are moving in the next couple of months and I am bookmarking this post. Thank you so much for curating your favorites! Yay! Good luck with the move! We have that high chair and I’m obsessed! I see people registering for $300 high chairs with so much fabric and cushions and I want to yell nooooo don’t do it!! I’ve been fortunate to have always lived within 15 minutes of an IKEA. I’m not sure I can ever move! Those spice racks are the best for storage! Both are baths have pedestal sinks, so we used them to store essentials vertically. 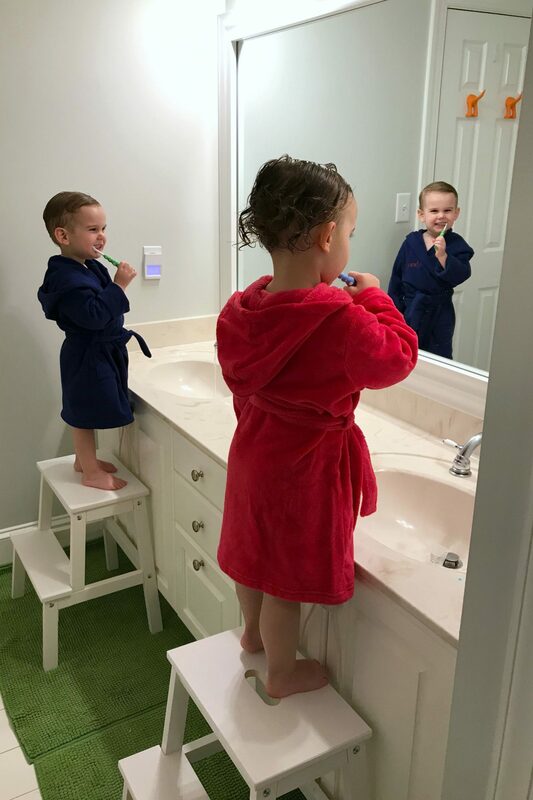 We had the Sundvik cribs for both boys (youngest is still in his as a toddler bed) and they are AWESOME. When I sold my oldest’s, it was seriously like new and he used it as a crib and a toddler bed. For $120, you can’t beat that. I also sold it for $75 3+ years later (winning!!) Like you, we love the Kallax cubes. The boys beat the crap out of them with their toys and books and there’s not a scratch on them. I’m working on replacing all of our plastic storage containers with glass ones as well. Love IKEA! I don’t get to visit as often because we moved a little bit further outside of Charlotte but it’s a great weekend day trip. And the chicken tenders are my favorite to get from the kitchen.